Suction cup wreath hook. Bathroom hook. Suction Cups Direct. HOME >> Suction Cups. Hooks >> Heavy duty suction cups with hooks. Giant 85mm diameter. Standard hook. Holds 5.5kgs. 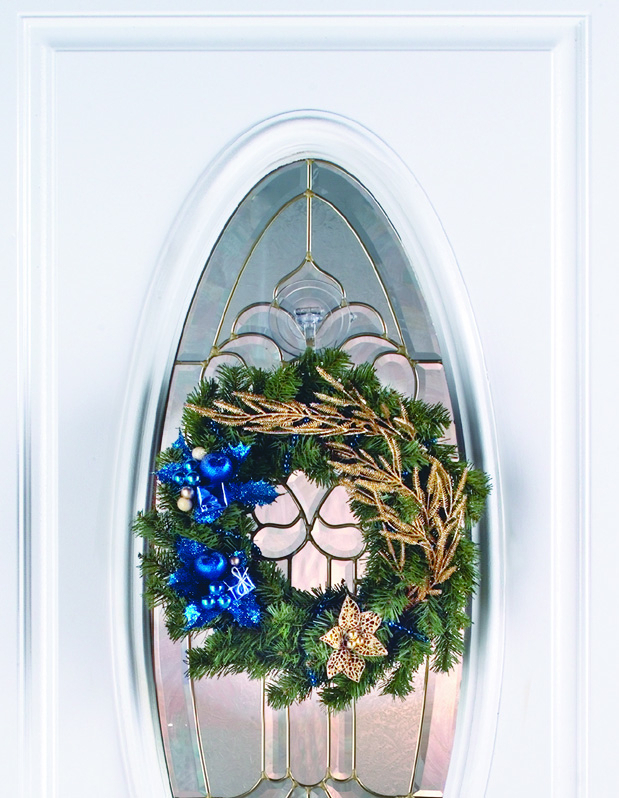 Christmas Suction Wreath Hanger for Plain UPVC Door. Standard Hook. 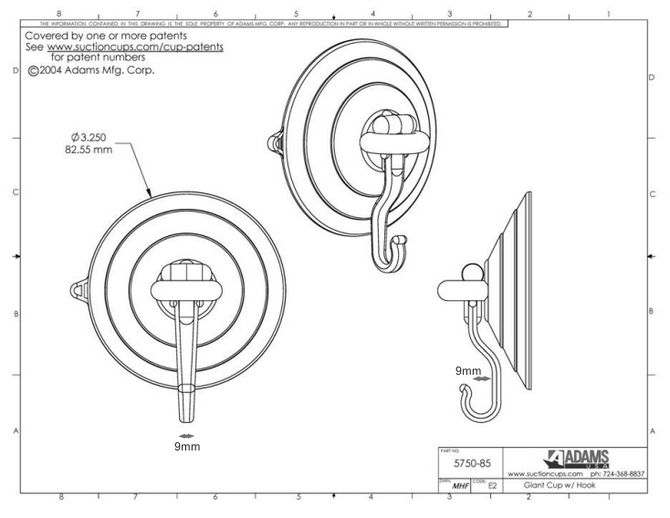 For a professional look and strength, choose Adams 85mm giant suction cup with polycarbonate hook. Rated to hold up to 12 pounds (5.5kgs). Beware of cheap, inferior, blatant copies on the market. Adams Suction Cups are the world's best and this Giant Suction Cup is Phthalate free. Fix Adams giant suction hooks to glass or clean, dry, flat, slick/shiny, non porous, non textured surfaces like mirrors, glossy plastic, plain glazed ceramic tiles etc. See:- Why Adams World's Best. The Adams giant suction hook can be used in the bathroom to hold a towel or robe. It is also useful as a Christmas wreath hook on a window or slick, shiny, non textured, glossy UPVC door. (this item will not stick to a wooden door, composite door or grained finish UPVC door). This 85mm heavy duty suction hook is available without the polycarbonate hook in our heavy duty suction cups category and listed as a suction cup with loop. 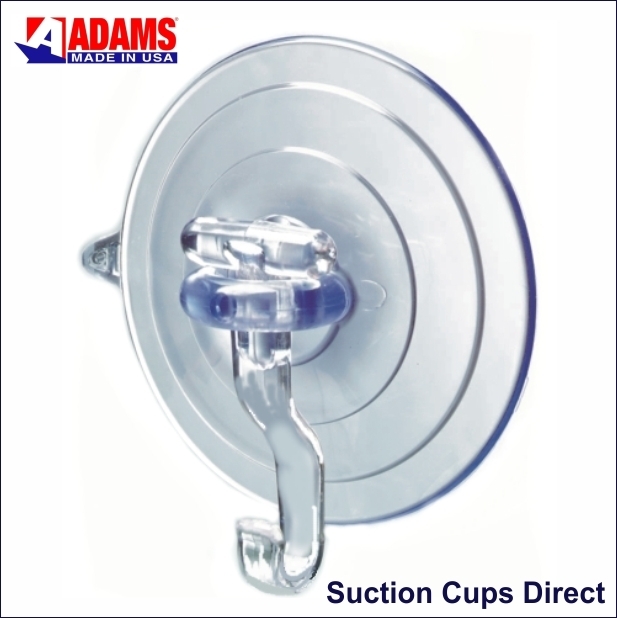 Use the Adams quick release tab on the suction cup edge to remove or re-position.